During the Christmas & New Year period, we will have special opening hours. 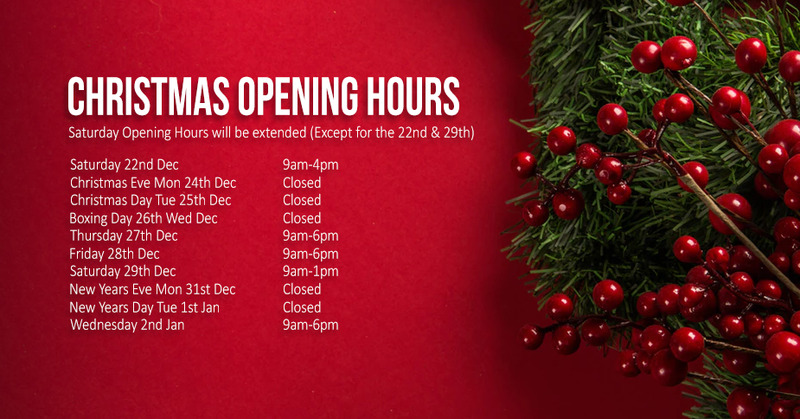 Make sure you familiarise yourself with the special opening hours to avoid any confusion. Regular opening hours will occur on any undisclosed dates. Be sure to order early to ensure packages arrive before Christmas! We recommend ordering no later than the 13th December to have a high chance of receiving your order before Christmas. For Custom PC orders, we recommend ordering no later than the 10th December to have a high chance of receiving your Custom PC before Christmas. You can configure and order your Custom PC HERE. Happy Holidays and enjoy a safe festive season. We want to thank all our customers for a successful 2018!